A beautiful large Victorian glass display dome. 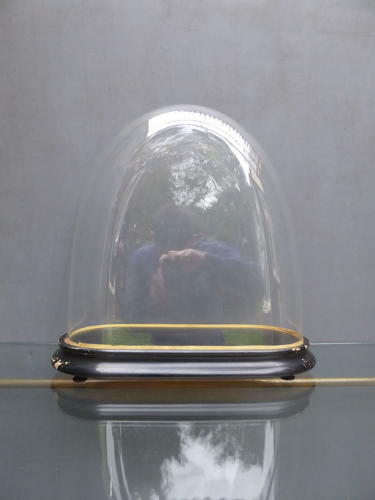 A wonderful hand blown antique glass dome on its original turned, ebonized wooden base. Superb quality & a really good size. Wear commensurate with age, glass in good condition with no damage, minor wear to the finish & a few old woodworm holes in the base, treated as a precaution. I'd prefer this was collected in person though it can be carefully wrapped & sent via 24 hour courier at a cost of £16.